Wishing you could spruce up your home with a renovation, but can't swing it right now? Read on for some ideas for free or inexpensive mini home "makeovers"! Start with a clean slate. Unclutter the areas you want to update. Remove all toys, old magazines, and stacks of anything taking up room. Vacuum more than your rugs. Done carefully, furniture and window treatments will look better without a layer of dust. It will be shocking how much the room improves after the baseboards are wiped down and the light fixtures are Swiffered. Paint is cheap! Consider a monochromatic bathroom or kitchen. The perfect shade of white will refresh any space and leaves many options for bits of color that are easily changed as the whim strikes. This look does not have to look sparse or overly modern if you accessorize with traditional pieces such a farm table and chairs or an antique dry sink in the bathroom. Upgrade your linens. I can think of no better quick, easy, and cheap way to enliven any space, especially the bathroom. Towels of all types, bath mats, and shower curtains are found very easily and with great price points especially during January and February home sales. Change your collection. Have you been collecting milk glass with Martha Stewart since the 1990s? Pare it down or pack it up and present another group of items you love. Group similarly colored cake plates of various heights or search antique stores and thrift shops for pie tins and hang those on the wall. I have a feature wall in my dining room showcasing silver platters of various sizes which were a breeze to install using Velcro Command Strips. Recycle and repaint. Take a Saturday and scour local thrift stores and yard sales. It's so easy to spot an end table or small piece of furniture to rehab and they can be found for less than $20.00. If you haven’t been on the chalk paint bandwagon, jump on! It’s so versatile and user-friendly, it makes novice painters look professional. 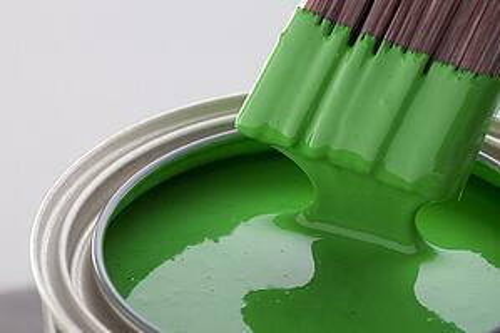 It can be pricey (a little goes a long way), so pair with a like-minded friend, share the cost of the can, and have a painting party in the garage. Re-upholster. I know, this can be dicey if you are buying secondhand from strangers. Admittedly, I haven’t attempted this DIY project yet because of the ick factor. You must be exceptionally careful to avoid bringing pests into your home via upholstered pieces when you cannot see what is inside. However, I know so many talented military friends of mine that do it and it all looks amazing and is inexpensive to produce. There are loads of tutorials on YouTube and other decorating websites. Remember to leave all of your new-to-you treasures outside until you can disassemble and inspect every inch. Update your mantel. Paint it, remove it, or replace it. New mantels can easily be found at a ReStore and maybe on sale at a big box home store. If this too much of a change, decorate for the season. For example, I have a winter motif on both mantels utilizing evergreens, various pine cones, and candles. You could use colorful dried wreaths for spring and summer or even add a collection of vases or framed art in various sizes. Spruce up your stairs. This especially intriguing if you have a split foyer and the steps are the one of the first visual elements you see. The trend of wallpapering your risers is catching on more and more and I think it really makes a statement. Look for the removable type, or play with the decorative contact paper and see if it adheres well. 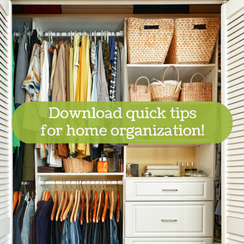 Take advantage of the many home decor blogs and articles MilitaryByOwner offers on its Resources page, and click below for FREE tips on home organization!